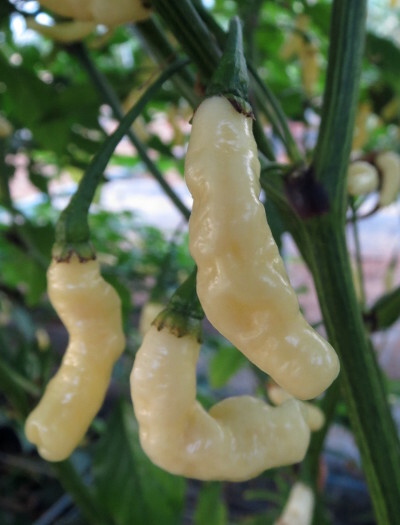 Also known as the caterpillar or worm chilli, Aribibi Gusano is a fascinating and unusual cultivar of Capsicum chinense. 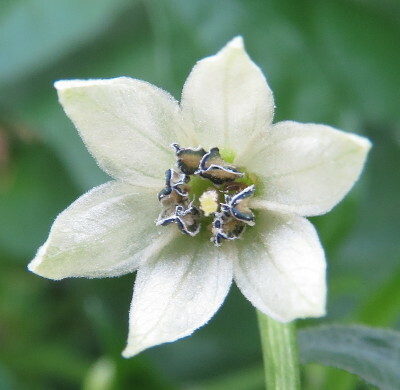 The long wrinkled chillies ripen from pale green to off white or cream, and have a curiously inverted blossom end. The flavour is particularly good, so it is more than a mere curiosity. For those who like habaneros and scotch bonnets, Aribibi Gusano is a real winner. The ripe chillies are undeniably hot, but have an excellent sharp fruity flavour which complements a wide variety of foods. 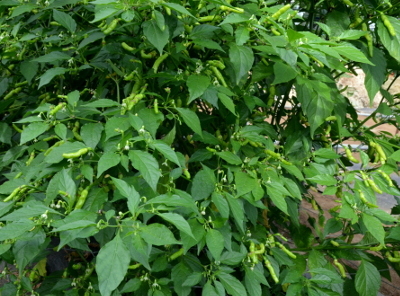 The chillies contain very few seeds and so can be used to make a salsa or roughly chopped into stir fries or other dishes.